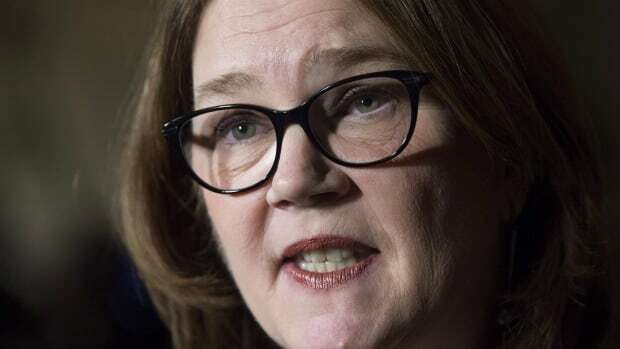 Philpott pointed to Commons justice committee testimony by Gerry Butts, Prime Minister Justin Trudeau’s former principal secretary, in which Butts referenced a Jan. 6 meeting she had with Trudeau about the company’s efforts to secure a deferred prosecution agreement (DPA) that would allow it to avoid a trial on bribery charges. “I think Canadians might want to know why I would have raised that with the prime minister a month before the public knew about it. Why would I have felt that there was a reason why former minister Wilson-Raybould should not be shuffled?” she told Maclean’s. Trudeau was asked about that meeting during a news conference in Mississauga, Ont. Thursday morning. He said the discussion was about appointing Philpott as Treasury Board president and moving Wilson-Raybould to fill her role as Indigenous Services minister. The prime minister said Philpott asked if Wilson-Raybould’s shuffle from the justice minister and attorney general’s role was in relation to the SNC-Lavalin issue. “I told her no, it was not,” Trudeau said. “It was a good and positive conversation,” he said. The Maclean’s interview was published in the midst of a parliamentary uproar over the Liberals’ move to shut down the Commons justice committee’s probe of the SNC-Lavalin affair. During the interview with Maclean’s, Phlipott said Wilson-Raybould may not have resigned as justice minister and attorney general as she was enduring inappropriate pressure to intervene in the SNC-Lavalin prosecution because she “had her finger in the dike.” She may have felt that her resignation could put the independence of the justice system at risk, Philpott said. “Another answer to that is, from the perspective of somebody who is under pressure and perhaps being harassed, it’s incredibly hard – if you talk to people who are harassed in any capacity, to maintain relationships and to find the right time to be able to speak up about the fact that you are being treated that way,” Philpott said.